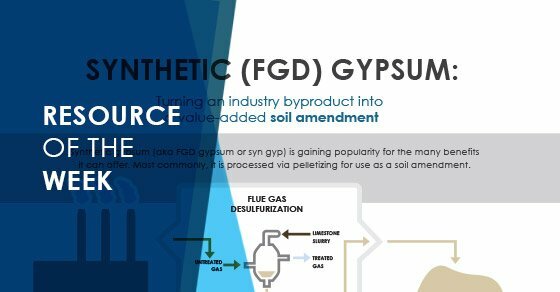 This week’s highlighted resource is an infographic on processing synthetic gypsum into a soil amendment. Synthetic gypsum – a by-product of the coal-burning process – has become a popular replacement for gypsum soil amendments. 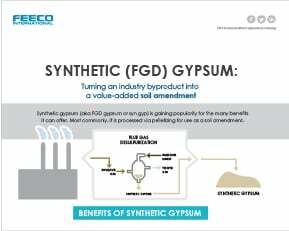 This infographic covers the benefits of using syn gyp as a soil amendment, as well as the process required to produce a premium soil amendment product. Click the image below to view the infographic.